These Tube Adaptors are the best selling castor accessory. Ideal for use in connection with Stainless Steel Castors, as these tube adaptors allow you to attach your castor securely into a Square hollow leg, utilising a plastic expander and a Stainless Steel Bolt. Just measure the internal diameter of your square hollow leg or tube, and choose an expander to suit. These Tube Adaptors are the best selling castor accessory. Ideal for use in connection with Stainless Steel Castors, as these round tube adaptors allow you to attach your castor securely into a Round hollow leg, utilising a plastic expander and a Stainless Steel Bolt. Just measure the internal diameter of your round hollow leg or tube, and choose an expander to suit. 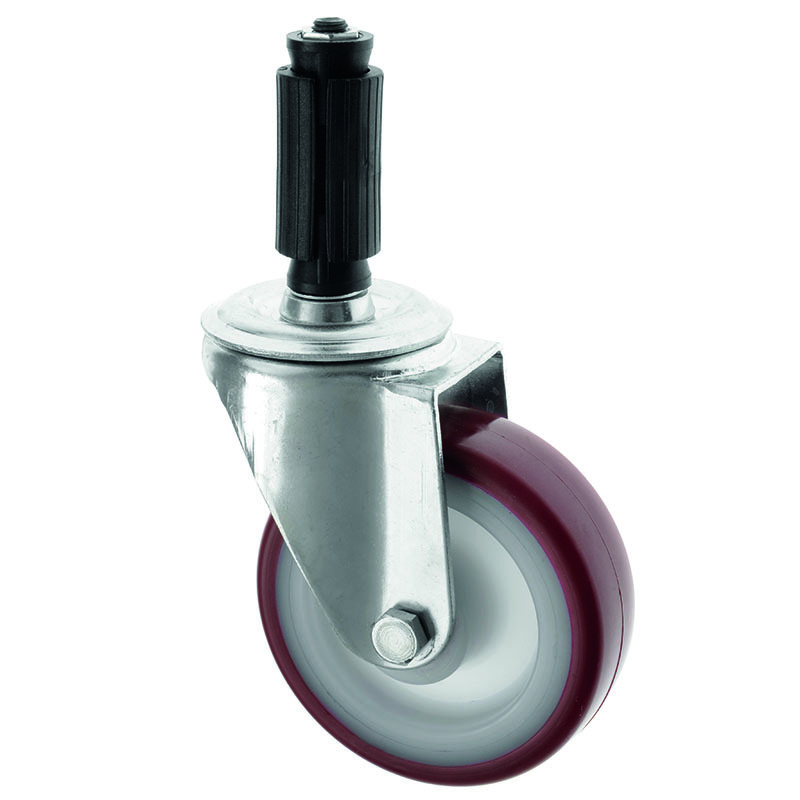 Need to fit castors and wheels into a tubular frame or hollow round or square tube? There is a simple answer - use our castor adaptor kits, simple tubular expanders that fit tightly into your tube and hold the caster wheels in place. Ideal for picking trolleys and mobile platforms. These castor expanders can be used on bolt hole castors only. Choose from castor adaptors for square or round tubing. Remember to measure your internal tube diameter to match to the correct adaptor! Stainless Steel versions are also available.